BANGKOK, 27 January 2014 The National Broadcasting and Telecommunications Commission (NBTC) has officially granted the channel numbers to all entrepreneurs who recently won the digital TV bidding while their broadcasts are scheduled to commence on April 1. 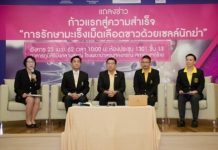 At the Royal Thai Navy Convention Hall, the NBTC has presided over a ceremony to endorse and allocate the numbers of the 24 digital TV channels to their broadcasters. 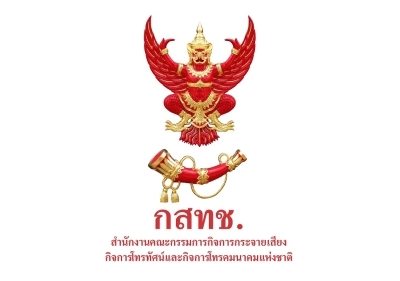 Chairman of the NBTC Broadcasting Committee Col Natee Sukonrat stated that the first half of the operational license fee would be collected from each entrepreneur in the next step while the license was expected to be issued in late February or early March. Once the broadcasters receive their licenses, they will be required to begin airing their programs on all 24 channels on April 1. 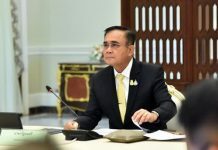 One of the bid winners, Thairath TV, confirmed it was fully prepared for the digital broadcast system, both in terms of content and personnel. The company said it would focus on news programs and variety shows and expected this new venture to break even in six years. Similarly, GMM Grammy voiced readiness for its digital airing this April, saying some of its current programs broadcast via the satellite system would be made available for viewers in the digital format as well.